NOW Foods 6986 Xylitol - 2.5 lbs. NOW Real Food Xylitol is the incredible natural sweetener that more and more people are turning to as an ideal substitute for sugar. Unlike sugars such as sucrose and fructose, this naturally occurring sugar alcohol won't promote tooth decay, has a low glycemic impact and has around one-third the calories of other sugars, making it a natural sweetener that's hard to beat. 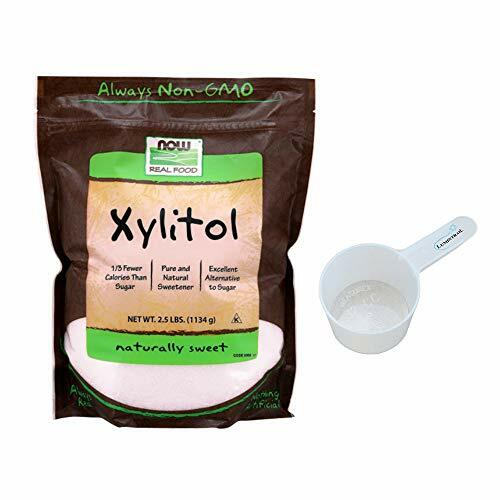 NOW Real Food Xylitol is derived from non-GMO corn and is the perfect substitute for sugar in almost any application. NOW Real Food Xylitol Powder is derived from non-GMO corn and is the perfect substitute for sugar in almost any application.